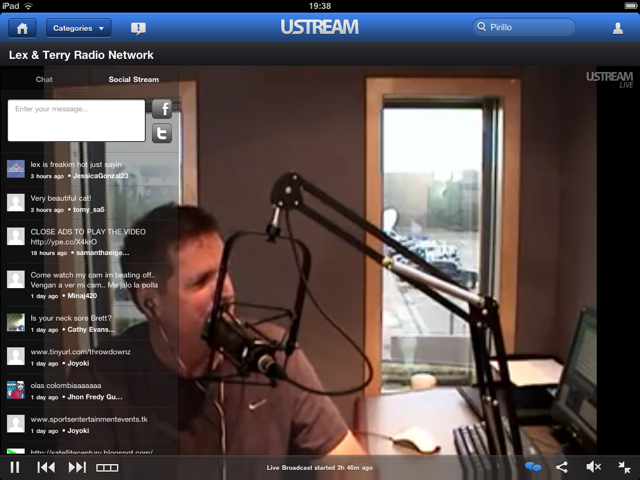 Ustream has landed on the iPad. Today, the streaming video service has launched its first iPad-optimized app, allowing users to view live and recorded content streaming through the service — and to stream their own footage direct from their iPad 2. You can grab the app right here. iPads are obviously well-suited for lounging — and Ustream is expecting that plenty of people will take advantage of the app to stream their thoughts direct from their couches (in other words, don’t be surprised if you see a bunch of new talking head streams pop up as people react to what they just watched on the news or after a sporting event). The iPad version also includes all-important AirPlay support, which lets you stream whatever you’re watching on Ustream to your television. The company launched its Android application on Honeycomb two weeks ago (it’s quite slick, and definitely better than most of the other Honeycomb apps out there), which also supports streaming direct from the tablet.